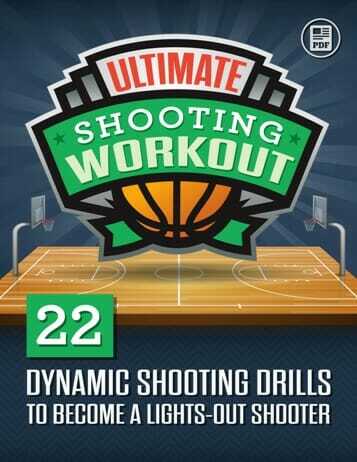 You want to come off a screen by rubbing shoulder to shoulder and then square up to a catch-and-shoot position. The best way to do this is as you rub shoulders, to turn your body to the rim and just catch and shoot the ball in rhythm. A traditional way of doing this is to try to turn in the air to get into a shooting lane, but it’s actually much more difficult. We recommend: Touch, face the basket, and just catch and shoot in rhythm. It’s an easier shot. It’s a rhythm shot. It gives you better balance and it takes the same amount of time because the passer will be giving you the ball as you come off the screen. When practicing the 3-point shot coming off of a screen or a pick, make sure you practice by working on both sides, going to your left and going to your right. Taking your shots in a catch-and-shoot position, the other advantage is that if a defender does get through the screen, you have the ability to jump stop, stay on balance, or jump stop, shot fake, and go by the defender. Another version of this is to just alternate shots every time you shoot the ball. Rule of 80: When a player can shoot 80% or higher from the free throw line in games or make 80% of the 3-point shots regularly in practice, they can be given the green light in game situations. 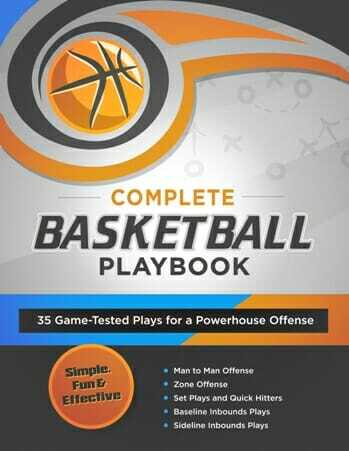 Want more free throw drill ideas? Then be sure to check out the Basketball Inner Circle. 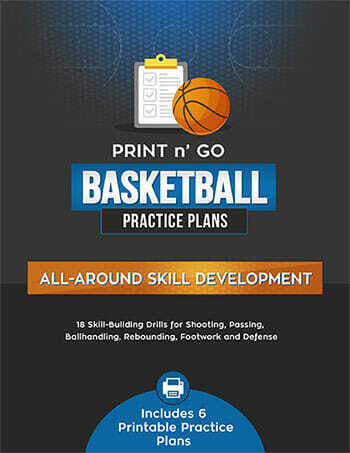 It contains hundreds of drill ideas, complete with video demonstrations! And be sure to Become a Fan on Facebook, where we talk about this topic and much more!